A student of many years, eventually studying under the best well known mages of the classes Black, White, and Red. Kadmiel learned how to be more destructive than the most advanced WMD's. How to apply her abilities as a form of healing, and the wisdom to maintain control over such a force. All while maintaining a perfect balance of three. She learned so much and grew in strength with her ability to wield the arcane arts that she ascended even higher than those mages who had taught her. Beyond what just anyone could aspire to, becoming the first Sage in more than a century. Not a good story, but there were so many mediums I could have used for a back drop. Full Metal Alchemist, Inuyasha, Fire Emblem:Radiant Dawn, Avatar: the last airbender, and more, I decided final fantasy in the end. This was drawn by www.furaffinity.net/user/gdzeek as a gift. 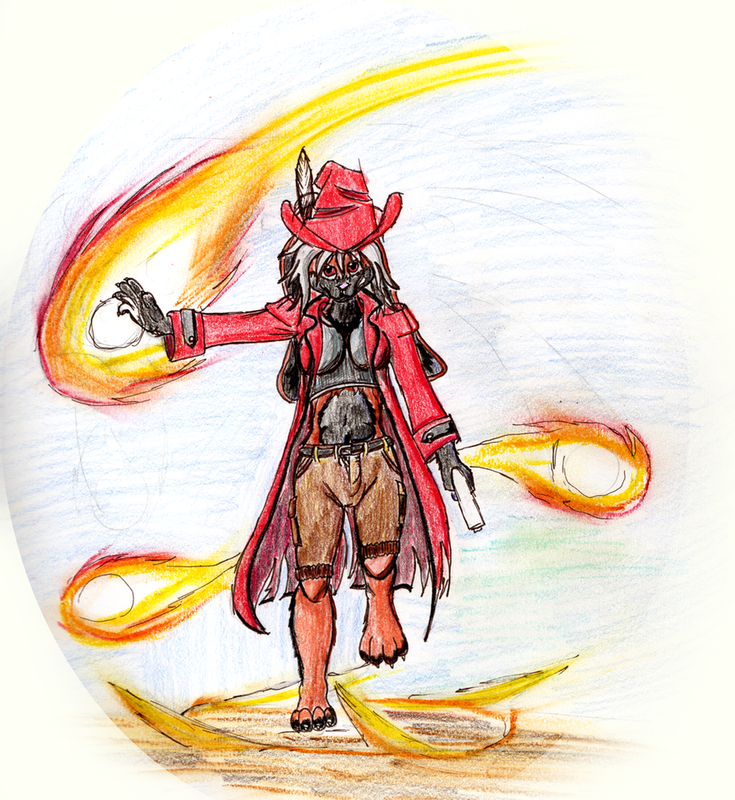 He saw my avatar on a contest journal regarding a final fantasy character, and was inspired to create this. Kadmiel is copyright to me. Story is not the best.